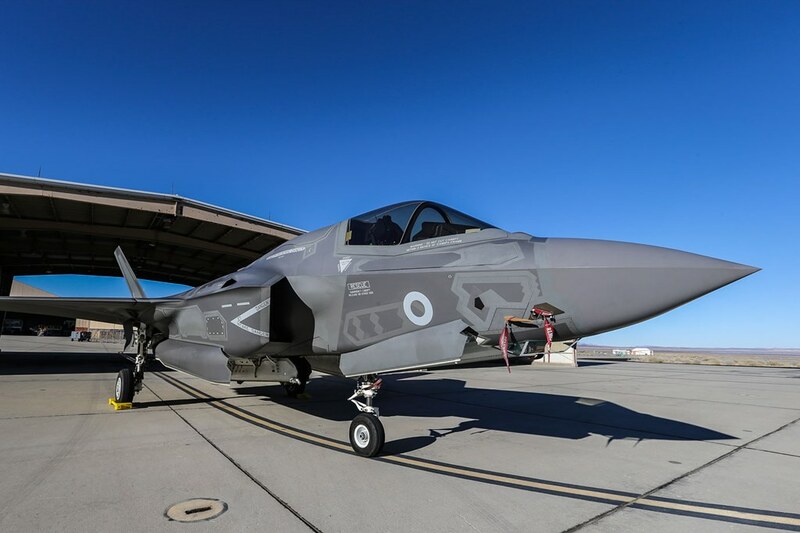 The squadron which will train future Royal Air Force and Royal Navy F-35B Lightning pilots at RAF Marham has been announced as 207 Squadron. The announcement was made during a visit to RAF Marham by the Chief of the Air Staff, Air Chief Marshal Sir Stephen Hillier, and the First Sea Lord, Admiral Sir Philip Jones, to view the progress being made to prepare for the arrival of the fifth generation fighter at the Norfolk base next summer. “I am very pleased to announce that the Operational Conversion Unit for the UK’s F-35B Lightning fleet will be 207 Squadron. The squadron has a proud and distinguished history, not only as an RAF squadron but as one of the earliest squadrons of the Royal Naval Air Service which, with the Royal Flying Corps, came together to form the Royal Air Force on 1 April 1918. “207 Squadron will play an important part in the future of both the Royal Air Force and the Royal Navy, and rightly reflects our shared aviation heritage. I was in the United States earlier this month to meet some of the pilots and maintainers who are getting to grips with the F-35B. They’re working brilliantly together and today I’ve seen the same sense of purpose from those readying RAF Marham for their arrival. The new infrastructure currently being built at RAF Marham includes vertical landing pads, the renewal of runways and taxiways and new technical and training facilities, offices and hangars. The first Lightnings will arrive at RAF Marham in summer next year when the Royal Air Force and Royal Navy pilots currently training in the United States, will return as 617 Squadron, the Dambusters. The Lightning OCU will stand up as 207 Squadron on 1 July 2019.